This lens kit is an ideal accessory for the amateur photographer. 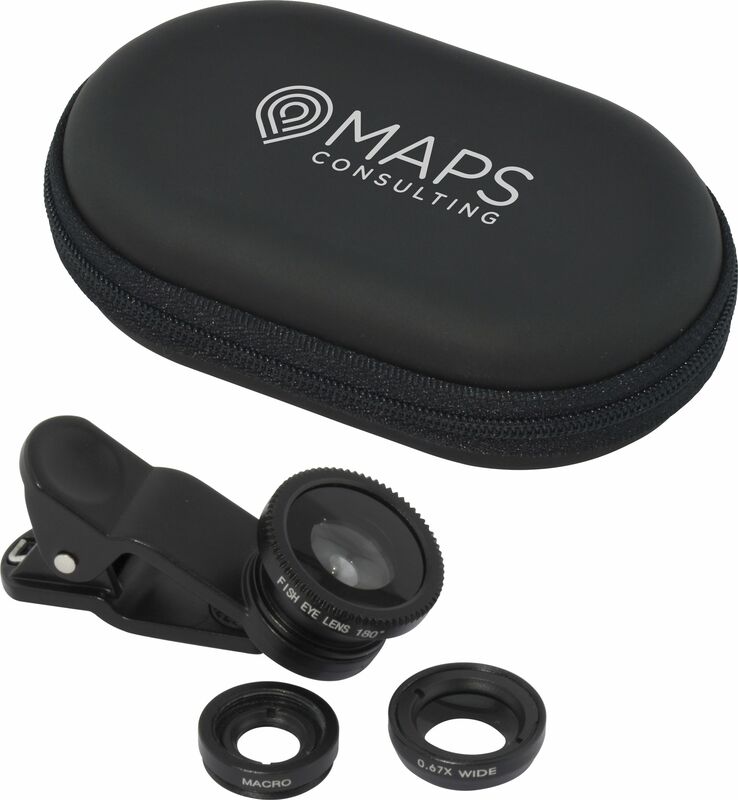 The lenses easily attach to your mobile phone enhancing your camera options and creating photographic opportunities previously not available when taking photos on a mobile. Supplied with 3 lenses including a Fish Eye, Wide Angle and Macro lens all neatly supplied in a soft-feel mini case.